These cookies were for another PTO event – Grandparent’s Day! Madeline was so excited to have her Grandmom come into school and see what she does. As a treat, parents make cookies and provide drinks. 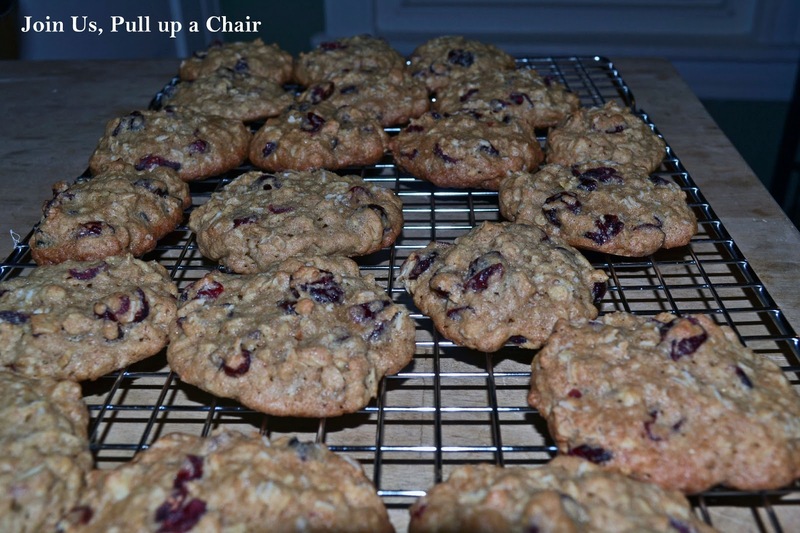 Of course I chose to make cookies and made these as well as batch with raisins instead of cranberries. They turned out really good and while they are slice and bake cookies, that part didn’t work out too well for me. I’m thinking I probably didn’t leave them in the freezer long enough, but I was running out of time and didn’t want to spend all night baking cookies. The little sleep I’m getting a night it to precious to give up to bake – Cooper is going on a two month battle with not sleeping through the night. And I promise, even though the picture isn’t that great, these are delicious cookies! They’re also made with whole wheat flour which helps increase the nutritional value and adds a nice nutty flavor…especially since our school is nut free due to allergies. In a medium bowl, whisk together the two flours, baking powder, baking soda, salt and nutmeg. In the bowl of a stand mixer, beat together the butter and both sugars on high speed until light and creamy. Add eggs one at a time and then add the vanilla. On low, gradually add the dry ingredients. Mix until just combined. Fold in the oats and cranberries. Divide the dough between two large sheets for parchment paper. Using the paper as an aid, roll the dough into a 1 1/2 inch diameter log. Wrap in plastic wrap and then freeze for at least 4 hours (to up 3 weeks). When ready to bake, preheat oven to 350 degrees. Unwrap dough and cut int 1/2 inch thick rounds and place 2 inches apart on a parchment lined baking sheet. Bake for 15 to 18 minutes until the edges of cookies are golden brown. Let cool completely on a cooling rack.